From the early days of my blog I have been planning on writing a post on how to make short crust pastry. I have posted many tarts and just given the recipe for the crust...knowing that someday I would get around to explaining the details. Since I recently taught a class on pies and tarts...and we're heading toward the holidays (the one time of year people seem inclined to make homemade pie)...now seemed to be an appropriate moment. Before I begin, I should tell you that I realize this is a really long post. I thought about dividing the contents up into 2 or 3 separate posts, but kept feeling like it all belonged together...so I just left it as one post. I have inserted some subtitles. Hopefully this will make the post a bit easier to navigate and read in short stretches. First, a definition. Most Americans are more likely to recognize the term "pie dough" than "short crust pastry". In France, the same dough is called "pâte brisée". I use these three terms interchangeably. Basically, short crust pastry is the dough that is used to make pies, tarts and turnovers (among other things). It can be made with a wide range of fats ("shortening")—butter, solid vegetable shortening and lard are the best—but I will be focusing solely on crusts made with all butter. In order to consistently produce good pâte brisée, it helps to understand a little bit about gluten. Gluten is an elastic sheet-like substance (sometimes compared to bubblegum) that forms when wheat flour is mixed with a liquid via a mechanical action (like kneading or stirring). The more you stir or knead, the more gluten you will develop. Gluten gives strength and structure to a dough. Well-developed gluten makes yeast-raised breads light and crusty. On the other hand, too much gluten will produce tough and hard pie crusts and tart shells. Although you need a little bit of gluten development to keep a pie crust from falling apart, not enough gluten is almost never a problem. After all, the dough must be mixed after the liquid has been added so some gluten development is inevitable. In practice, learning to make pie dough is about learning how to minimize gluten development. Wheat flour contains two kinds of proteins—gliadins and glutenins. It is these proteins that combine to form gluten. 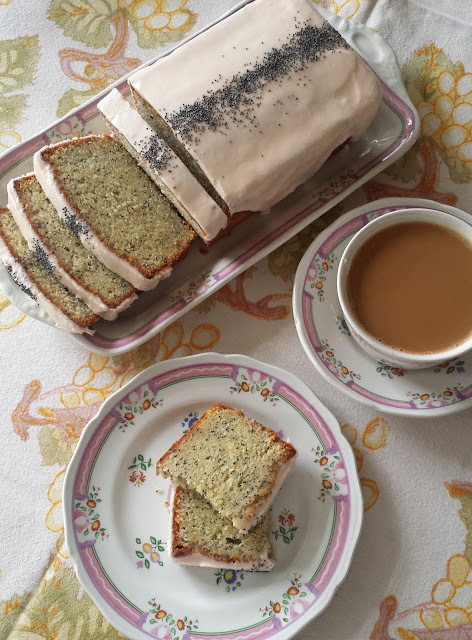 So one obvious way to minimize gluten development is to use a low protein flour like cake flour, pastry flour or a soft wheat flour like White Lily. But if all you have on hand is a national brand all-purpose flour—which has a moderate level of protein...low enough to make tender cakes and pastries....yet high enough to make a decent loaf of bread...hence "all-purpose"—you can still make a fine pâte brisée. When I make short crust pastry, I almost always use unbleached all-purpose flour. The reason you can use an all-purpose flour to make pie dough is that there are many other ways to control gluten development. Certain ingredients can be added that inhibit the ability of the gliadins and glutenins to grab on to one another and form gluten. I will mention these briefly, but to me of much greater interest and importance are the techniques that will enable you to produce a pie dough that isn't tough or hard. If you understand the how's and why's of the right techniques, and what the dough should look and feel like at each stage in the process, you can make beautiful short crust pastry with the most basic of ingredients...flour, butter, water and salt...ingredients that everyone has in their kitchen. And since my goal is to encourage people to actually make pastry, I'm much more interested in teaching something that is simple and stream-lined. You will find some recipes for short crust pastry that include lemon juice, vinegar, sour cream, buttermilk, or some other acidic ingredient. This is because acids are tenderizers. I mention this mainly to answer the question I am sometimes asked in class about why someone's Grandmother's prized recipe might include one of these ingredients. I never add an acidic ingredient to my pâte brisée because I have never needed to. Shirley Corriher is a great fan of this addition and her book Bakewise includes several crusts that include acidic ingredients. The "tenderizers" that I am mostly interested in are sugar and fat. Sugar attaches itself to the aforementioned gliadins and glutenins, keeping them from bonding to one another for the formation of gluten. If you need a crust for a dessert, this is a handy thing to know. The more sugar you add, the less flour proteins that are available to make gluten. You can of course add so much sugar that there is little or no gluten development, in which case you end up with a crust that is crumbly and quite difficult to roll out. Fats tenderize by coating the proteins—literally making them too greasy to be able to effectively join together to make gluten. This fat coating on the proteins also inhibits the ability of the dough to absorb water (which is necessary for gluten formation). Up to this point, I have only talked about a "tender" pie crust. But of course everyone knows that a good pie crust should not only be tender—it should also be flaky. Flakiness is achieved when there are discernable lumps of cold fat remaining in the final dough. In a hot oven, the dough sets quickly around these cold bits of fat. The bits of fat then melt, leaving holes and creating flaky layers. This is the reason behind the time-honored practice of keeping your ingredients as cold as possible. Some cooks chill the flour and the bowl (I usually don't bother, but if it is a hot day, this is a good thing to do). Whether or not you chill the flour and the bowl, the butter and water should both be refrigerator cold—I usually put ice in the water to make sure it is very cold. Now to the basic recipe: Classic French pâte brisée is made with half as much butter by weight as flour. This is how I learned to make it when I was in London at cooking school. When I returned to the United States, I discovered that this ratio does not produce a very good crust. I also noticed that there was a lot more fat in the American pie dough that I had been making successfully for years. The reason for this discrepancy goes back to the protein content of the flour. U.S. national brand flours have more protein than the flours used in England and France. If you want to use this lower "classic" ratio, you must use a low protein flour like cake flour or pastry flour. If you want to use American all-purpose flour, then you should use a quantity of fat equal to 75% of the weight of the all-purpose flour to obtain a good crust. The amount of water used to make the dough will vary according to the humidity of the day, the moisture content of the flour itself, how warm or cold the ingredients are and how much the butter has been worked into the flour. Typically the amount of water will be one quarter to one half the weight of the fat. According to Madeleine Kamman, it should never be more than half the weight of the fat. Too much water can make a crust tough. The reason that I explain the ratios is that if you know these simple ratios, you never need to have a recipe with you. If you remember that a 8- to 10-inch tart or pie shell will need about the quantity of dough produced by 3 to 4 ounces of butter, you will always be able to calculate the remaining ingredients. To calculate the salt, I figure 1/4 t. of salt for every cup (4 oz.) of flour. I always use unsalted butter, so if you are using salted butter, you probably don't need any additional salt. Now to the techniques. To begin, gather your ingredients. Make sure your butter and water are cold and leave them in the refrigerator until you are ready to use them. Place the flour and salt in a bowl large enough to accommodate the free movement of both of your hands. Stir the flour and salt together (using your fingers, a whisk or a fork). Cut the cold butter into uniformly-sized pieces. Some chefs/cooks cut the butter into roughly 1/2-inch chunks. I find it works best if I cut a stick of butter into slices that are a scant 1/4-inch thick. Add the butter to the bowl and fluff it in so that it is coated with the flour. The first step in the process of making a short dough is called "sablage" which means to reduce to sand. It is also referred to as "rubbing" (if you are using your hands/fingers or a stand mixer with the paddle attachment) or "cutting" (if you are using a pastry blender or the food processor) the fat into the flour. It doesn't matter too much which implement you choose for this process as long as you remember that the fat in the pastry has two functions—tenderness and flakiness. The tenderness comes from butter that coats the proteins (small..slightly warmer pieces) and the flakes come from large cold pieces. I tell people that after sablage, the contents of the bowl should look like cornmeal and peas. If you are rubbing the fat into the flour using your hands (as I do), the inherent warmth of your fingers will naturally soften some of the butter as the pieces get smaller and smaller. It is this butter that will "coat" and result in a mixture that looks like cornmeal. If you continued long enough, all of the mixture would have the uniform look of cornmeal. Continuing even longer and the mixture would come together completely in a homogenous mass of dough that needed no water (and would have virtually no gluten development). The idea is to stop rubbing while there are still a lot of largish, cold pieces of butter that look like peas. If you prefer to use a pastry blender for the sablage, Alice Waters in her book Chez Panisse Fruit recommends adding the butter in two stages. She adds a third of the pieces of butter first and works it in to the flour until the whole mixture looks like cornmeal. She then adds the remaining two thirds and works it just until this later addition is reduced to the size of large peas. For those who have read my crostata/galette posts, you might recall that I execute the sablage using the food processor. This particular dough is made with an unusually high percentage of fat. So high that when I use my hands I find it difficult to keep it from coming together in a mass before the water is added. It works best for me to pulse the cold butter into the flour until it is in mostly pea-sized pieces (some will be smaller). I then turn the whole mixture into a bowl and complete the sablage using my hands—this effectively warms up some of the butter and I end up with a mixture that has the desired look of cornmeal and peas. The next step is to add the water. Make sure the water is icy-cold. (This will keep the butter cold.) Add about half of the water by drizzling it over the butter/flour mixture and then "fluffing" it in. I use my hands for this operation. Hold your hands so that your palms are facing one another and your thumbs are pointing away from you. Curve your fingers slightly. Scoop down around the contents of the bowl and lift up, tossing the mixture (sort of like tossing a salad with your hands) to distribute the water. Keep scooping and fluffing, adding more of the water as necessary until the mixture begins to form larger and larger clumps. If, when you squeeze a handful of dough it holds together, you have added enough water. This "fluffing" step should take less than a minute for a small batch of dough. The final result is truly "clumpy"—not a homogenous mass of dough. If you prefer, you may use a fork to fluff the ingredients together. What is most important is that, whether you use your hands or a fork, you don't stir, as this will encourage excessive gluten formation. After you have added the liquid you may simply turn the clumps of dough out onto a sheet of plastic wrap and use the plastic wrap to press the dough together and into a thick disk that is about an inch thick. In recent years, I have been incorporating one last step from the French repertoire when I make my pâte brisée. This step, called "fraisage", helps to further combine all of the ingredients without stirring or kneading. A dough that has been "fraised" has greater plasticity and the edges don't tend to crack when it is rolled out. The process develops just enough gluten so that the crust is not too fragile—but not so much that it is tough. Finally, it also effectively flattens the large pieces of cold butter remaining in the dough so that the resulting flakes in the crust are long and thin. To fraise the dough, after the water has been fluffed in, dump the moist clumps of dough onto the counter and press into a mound. Using the heel of your hand, gradually push all of the dough away from you in short forward strokes, flattening out the lumps. Continue until all of the dough has been flattened. Using a bench scraper, scrape the dough off the counter, forming it into a single clump as you do. Wrap the dough in plastic wrap, pressing into a thick disk. Many chefs recommend that you repeat this process, but I find that this is not necessary...for me, this second pass would create too much gluten. At this point the disc of dough (fraised, or not) should be chilled for at least 30 minutes, and preferably 2 hours. This is called "resting" the dough. It allows any gluten that has been formed to relax. It also allows the flour to more fully and evenly absorb the water. The dough should rest in the refrigerator so that the butter can chill and firm up again. The dough may be made up to this point a day or so ahead. It may also be frozen for a few months. Thaw frozen dough in the refrigerator. The disc of chilled dough (whether it has been frozen or not) should be allowed to warm up for a moment or two before it is rolled out. If the dough is hard when you try to roll it out, it will crack and roll unevenly. To roll out the dough, begin by dusting the work surface and the disc of dough with flour. Place the floured disc of dough in front of you on the counter. Remember to work quickly—particularly if the room is warm—the butter softens with increasing speed as the dough becomes thinner and thinner. If the dough gets too warm, the large solid pieces of butter in the dough will begin to melt and will in turn be absorbed by the flour. The resulting crust will be tender, but it will not be as flaky. To minimize gluten development as you roll, always roll from the center of the dough outward rather than back and forth from edge to edge: Place the rolling pin at the midpoint of the dough and roll away from you to the edge of the dough (using light and even pressure). Lift the rolling pin and place it back at the midpoint of the dough and roll in the opposite direction (toward you). Rotate the dough a quarter turn—always making sure that there is sufficient flour to keep the dough from sticking—and roll from the center out and away and then from the center back towards you again. Keep rolling and turning until you have a round (or square, or rectangle...depending on the intended use) of dough that is about 1/8 to 1/6–inch in thickness. As you work, periodically dust the dough, as well as the counter top, with flour to keep the dough from sticking. When you are finished, use a dry pastry brush to brush off the excess flour. If the dough has been rolled out for a pie or tart, transfer the dough to a buttered tart pan or pie plate, being careful that you don't stretch the dough as you ease it into the pan. Dough tends to shrink as it bakes and if it has been stretched, it will shrink even more. For tips on rolling out the dough for empanadas, turnovers or small individual tartlets, check out my post from last year on Spinach Empanadas. As you read through the recipe for pâte brisée you might have noticed that after writing about the tenderizing effects of sugar that I didn't include any sugar in the basic recipe. I am not in the habit of adding sugar to my basic pâte brisée, but it is common and perfectly acceptable to include a small amount—in roughly the same quantity as the salt. This is too small an amount to contribute a tenderizing affect. When used like this in pâte brisée, it is to assist in the browning of the crust. In quantities large enough to tenderize, the crust becomes discernibly sweet and is fit solely for using in dessert-type pies and tarts. In the classic French repertoire, in addition to pâte brisée there are two other types of short crust pastry—and both of these include sugar. They are pâte sucrée and pâte sablé. Pâte sucrée contains enough sugar to make it slightly sweet (to be used in dessert tarts, turnovers, etc.) and it is made using the same techniques as pâte brisée (the sugar is added with the salt to the flour). Pâte sucrée is a sweet, flaky crust. Pâte sablé contains even more sugar than pâte sucrée....so much that there cannot be enough gluten development to produce a flaky crust. Instead, it has a crumbly or sandy-texture (sablé is from the same root as sablage) that is much more like a tender cookie than a pie crust. In fact, it is frequently called a "cookie crust" and the method used to make it is exactly like making a cookie dough (butter is creamed with sugar and egg before the flour is added and mixed to a homogenous dough). If all of this seems confusing, just remember the pâte brisée is the all-purpose crust. It is the most important one to be able to make, because if you can make a good pâte brisée, you can make both savory and sweet pies, turnovers and crostatas/galettes. If you know how to make this crust, you don't really need to know how to make any others. On the other hand, if you can make a pâte brisée, you know how to make the most difficult crust....and there is no reason not to expand to sweet crusts. In my own personal repertoire I don't really make or use a classic pâte sucrée. When I want a sweet flaky crust, it is typically for a free form galette or crostata. The dough that I use for this would probably be classified as a pâte sucrée because of the technique used to make it and because it is sweet. But, as mentioned above, it contains a very large percentage of butter—almost equal to the weight of the flour. I love this crust because it is very tender and flaky—but I don't think it has enough structure to use in a tart pan as one would be able to use a more traditional pâte sucrée. I do make a traditional pâte sablé and have posted it on more than one occasion. It is an exceptional recipe that I learned from a local pastry chef who owned The Pastry Goddess in Kansas City for many years (Thanks Kathy!!). Now seems like an appropriate place to mention that the content of this post has been acquired over the years...obviously a lot of experience, many teachers and many chefs contributed to the things that I have written about. But I want to specifically mention the books The New Making of a Cook by Madeleine Kamman and Bakewise by Shirley Corriher. It is impossible for me to separate the practical techniques I have learned over the years from the science (as it relates to technique) as explained in these two books. They are both goldmines of information—I have barely scratched the surface. If you are interested in delving more deeply into this topic, these books would be a great place to start. Hopefully this post has been enough to help, but not so much that it overwhelms or intimidates. Making excellent pâte brisée really is not complicated or difficult. Despite the length of this post, making it is simple and fast—much faster to make than to read about it. Once you understand the "why's", the age old advice to" keep everything cold and work quickly and purposefully" will make sense. With practice, you will learn to produce a tender and flaky crust in no time at all. This is a fantastic post! I've never read a better explanation of how to make perfect brisée anywhere. Don't worry that it's long, it's so well worth written that it's a delight from beginning to end. The next person who asks me how to make a good pie crust will be sent straight to your post. Now......onto the pork chops in apple cider which is why I came here just now. Thank you again, great chef!! This is a brilliant post. So much information and it's great to understand _why_ you do certain things when cooking. Sooo Informative, I kept getting my shortcrust really tough and couldnt figure out why, never put a thought to gluten or anything (I'm new to this whole baking thing) just made my first batch and its come out lovely, thank you! I'm so pleased to hear that my post was helpful and that your first batch turned out well! Thank you for letting me know!! Stumbled onto this post when I couldn't put my hands on my pie dough recipe, and I can't tell you how glad I am. I made my first crust using this recipe last night, and it. was. PERFECT. Cornmeal and peas, fluffing...I think you've changed my life. Really. I was so proud of the quiche I made last night I took pictures of it. Thanks for sharing your experience and talent! Liz, I'm so glad I helped...and thank you so much for letting me know. Your comment made my day. This has been the best article I've read about pie crust this Thanksgiving. Thank you! I'm so glad that it was helpful. Happy Thanksgiving! Thank you for taking the time to write this. I have read so many posts but never anything like this. I know where I'm going wrong now. Your a star. Thanks again. Thank YOU Patricia for taking the time to let me know! I'm so pleased the post was helpful to you. Finally, cooking instructions that tell you WHY you are doing the things you are doing. It's so much easier to remember (and respect) the instructions. I wish all recipes told you the 'why', not just the 'what' and 'when'. Thanks for a great and instructional post. I've been looking for a straight forward explanation of the flour/gluten/tenderizing topic for a while. Thanks so much. Now why do they call it 'short' crust? I'm so glad the post was helpful...thanks for letting me know. As for 'short' crust...I don't know exactly how this word came about. It has to do with the idea that the gluten in short doughs is not fully developed...it is "shortened" so to speak. You will hear pastry chefs refer to doughs that are "very short"...and by this they mean they are crumbly. Basically there is so little gluten development in these "very short" doughs that they don't hold together very well at all. Finally, I think typically the idea is that a dough is "short" when the gluten development has been minimized via the use of a solid fat of some kind...butter, lard, or..."shortening". Thank you Steve. I'm so pleased that the post was helpful to you! I found your post looking for recipes for peach cobbler using a "short crust" as taught to me in the 1960s by my husband's Kansas grandmother (born 1991 on the plains of Kansas). [Most cobbler recipes use an "easy" cake-like topping--I don't prefer them.] Grandma Astle taught me the crust must be "shorter" than a normal pie crust. She made it without a recipe. I asked her what made it "shorter" and she said "more shortening". Hmmm....I knew what shortening was. I use lard. I enjoyed your post and will keep it. So glad you enjoyed the post...thanks for letting me know. Thanks for sharing about the roots of your cobbler recipe too. Did you see my post on Peach & Raspberry Cobbler? I think cobblers are fascinating...everyone has a different definition depending on where they grew up and their family's culture of origin. I make a biscuit topped cobbler, but have had the cake-style you describe and the short-crust topped like the one you make. They are all pretty delicious! I stumbled upon this article while doing my Classical European Pastry Arts homework, didn't find the answer I needed but I did find out WHY all my short doughs turned out mealy instead of flaky. I will definitely refer back to this in the future. I'm so glad the post was helpful to you! This is an exceptional post. I've bookmarked it and will refer it to friends and associates. It's an easy to understand, yet in-depth and informative explanation that includes the do's and do nots, as well as the why's and why nots. Thank you very much for taking the time. Thank you Michael! And thanks for referring it to others. Thank you! I stumbled gladly upon your blog, looking for a recipe for pâte brisée with the ingredients given by weight. In New England, flour changes from summer to winter. I learned more from you thankfully long article than in a professional cooking class at L'Academie de Cuisine years past. The science matters. The photographs were accurately tied to the explanation of the procedure, without ellipsing, as in the several depicting the fraise. My son is the pastry chef in the family, I, the savory. This time my crust was declared better than his -- not possible without this post. You are an excellent instructor. Hi Caroline! Thank you so much for taking the time to comment and tell me about your excellent results. You made my day!